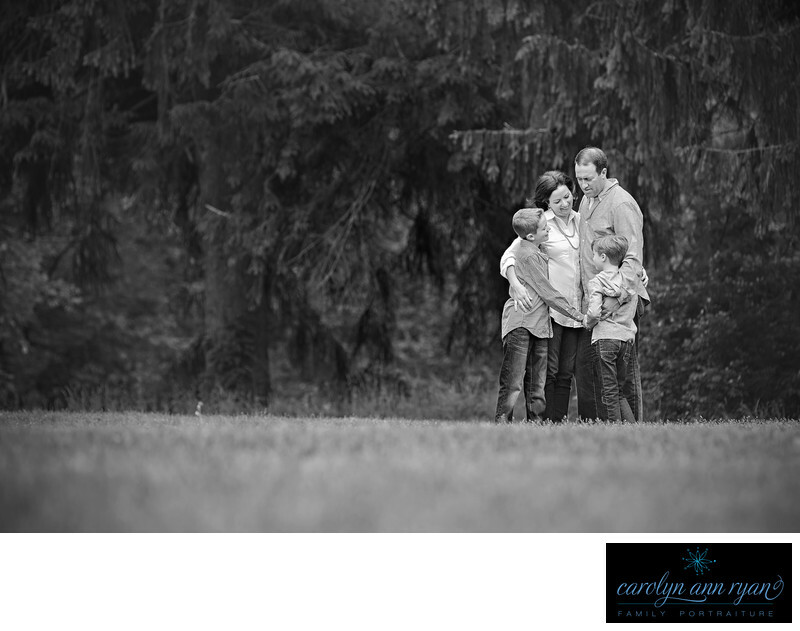 With most family portrait sessions, there is that one moment, that one capture that just steals my heart. From this family session, this was the image. It was simple. It was easy. It was just asking them to head to the back part of the field and be a family. It was a sweet hug, a sweet moment between parents and their boys, and a friendship between brothers. I simply laid in the grass from a distance and just allowed the moment to happen. 1/320; f/4.0; ISO 200; 190.0 mm.